Mango is famous for sweet and sour taste combination. However in most of our mango recipes we add sugar and to make it very sweet. Mango mojo is different such that it makes the dish a tangy taste - sweet, sour and also spicy. 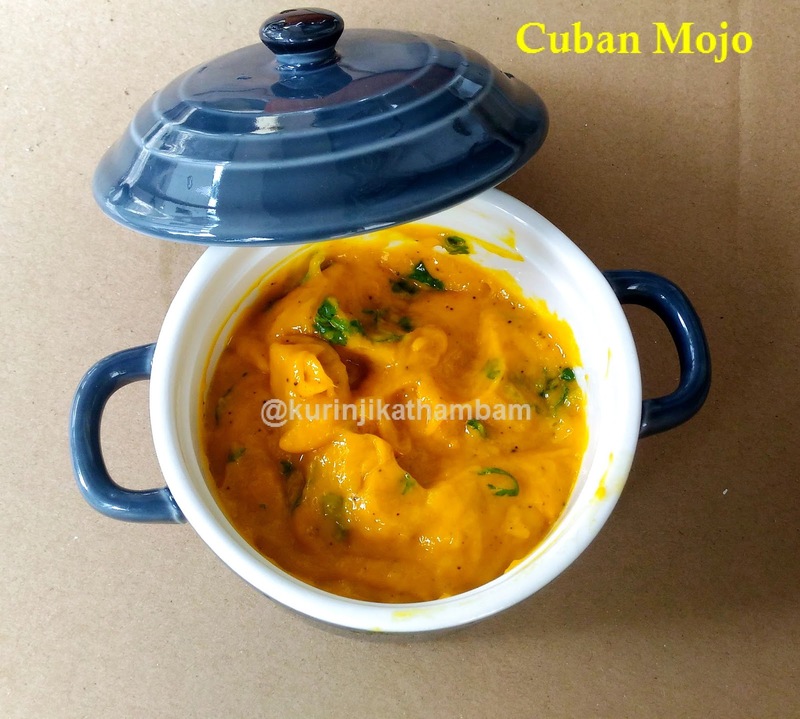 In Cuba they use Mango Mojo as Sauce for marinating chicken and fish. But we can use it as just spread. 1. Heat the oil in a pan, add chopped onion and garlic. Fry till they become translucent. 2. Then add the grated ginger and switch off the flame. Allow it to cool down completely. Keep it aside. 3. Wash and remove the skin of the ripe mango. Then cut it into small cubes. Discard the seeds. 4. 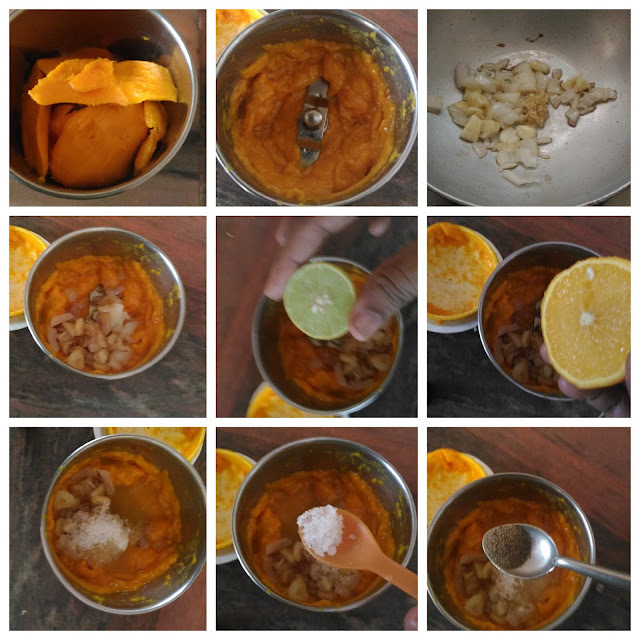 Grind the mango cubes into fine paste using dry mixie jar. 5. Now add the fried onion mixture (from 2), orange juice, lemon juice, sugar, salt and pepper powder. 6. Again grind them into fine paste without water. 7. Now transfer this mixture into serving bowl. 8. Then add the finely chopped coriander leaves and mix them well. 1. Use ripe and sweet mango for this recipe.